he outlook for Red Snapper Fishing Charters in Galveston, Texas is looking superb for 2017. Federal Permitted Charter Boats had 46 days of Federal Red Snapper Fishing Season in 2016, and 40 days in 2015. We anticipate at least the same – and possibly more days at sea to target the “Lutjanus Campechanus” most commonly referred to as Red Snapper. June 1 has been, and with most certainty will be the opening date again for Gulf Red Snapper Season 2017. The total amount of days will be announced soon. Spring break means just that – a break from the hassles of everyday life. Cold weather folks, especially, want some southern warmth after months of cold and snow. Well, there just happens to be a little bit of heaven along the Gulf coast where you can warm the chill from your bones while you do some big time Texas fishing. With more than 40 years of living and fishing here on the Galveston Gulf Coast along with a Grandpa and Dad that did everything from seining the Galveston Beachfront, Fishing the shallow back lakes and bays, dragging a shrimp net in West and Trinity Bays to fishing the jetties for Giant Speckled trout - I have an idea of what a good year of fishing is like here on Galveston Bay - 2016 was one for the record books. Here is a look back of our 2016 Galveston Fishing Season. Our Galveston Fishing Guides are reporting some amazing August fishing here in Galveston, Texas. With water temperatures in the upper 80's and even getting into the 90's - our Fishing Guides are targeting areas with deep water access on our Charters. In the past weeks, we have even found ourselves catching speckled trout in 20 foot plus of water. Now, the fish are up in the water column - but we are using more weight than usual to get our baits into the strike zone. This technique is proving to catch some very, very high quality speckled trout and redfish while others success is not very good. We are catching our fish using live shrimp, fished on a 2-1/2 foot 30lb Suffix Clear Mono Leader, and a number 6 treble hook. 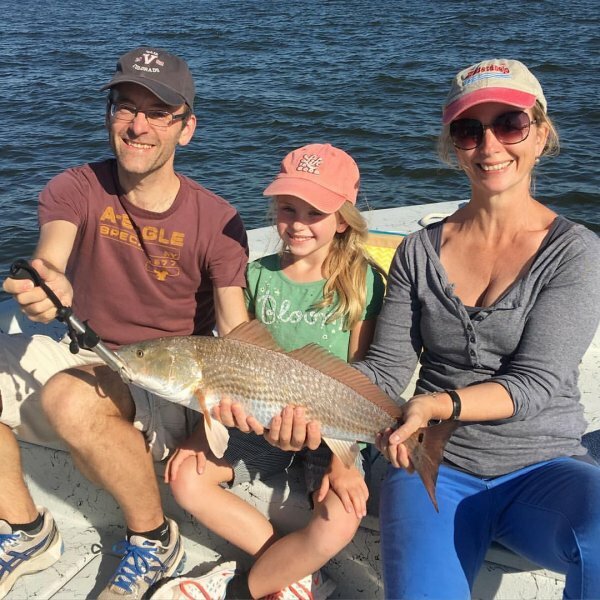 Galveston Fishing Report - Calm Seas, Beautiful Water, and Hungry Fish! Mother Nature has decided to give us a break this past week, and what was already good summertime fishing has now turned into some spectacular days fishing in Galveston. The speckled trout bite has been incredible, with red fish mixed into the box as well. The Galveston jetty and beachfront has been the best area for size of specks, while the bay and marsh is producing good numbers, with just allot of fish just under the size limit. Our Galveston Fishing Charters are experiencing some amazing fishing here in Galveston, Texas. Summer is here, weather is amazing, and our Fishing Charters are slamming some nice fish. Speckled Trout, Red Fish, Red Snapper, Amberjack, King Mackerel, Spanish Mackerel, Flounder, Drum, Sheepshead, Pompano, and even sharks are being caught on our Galveston Charters. 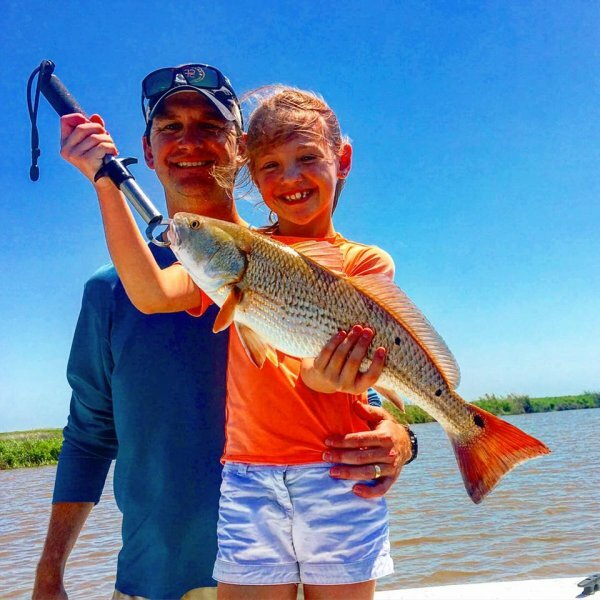 Galveston Fishing Charters - Summer is Here and Fishing Outlook is Great! Mother Nature has definitely made the month of May a bit out of the ordinary this year. With record amounts of rainfall in Texas, mixed with some very windy days - it has made open water fishing somewhat of a challenge for our Galveston Fishing Charters. It is during these kinds of conditions we will find shelter from the winds in the back lakes and bays of Galveston. Red fish do not mind the fresh water run off near as much as speckled trout. The past week Galveston Red Fish were in our sights! Our weekly Fishing Reports have been amazing lately, and this report seems to be more of the same! Great Galveston Weather equals Amazing Texas Coastal Fishing, and our Galveston Fishing Charters are slamming some amazing Fish! 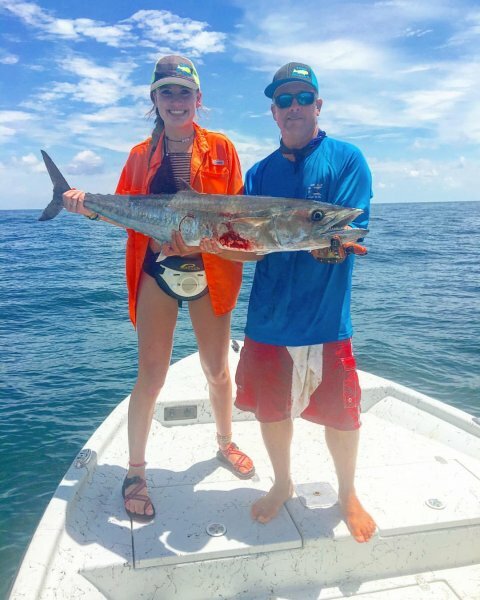 The past week our Fishing Charters in Galveston has had great results, and the Fishing Report for Galveston is good and the fishing forecast is even better! As I write this Galveston Fishing Report here during this first week of May - we are experiencing a 'Cool Front' with North Winds bending the saltgrass in the marshes. This is definitely not the norm for our Galveston Gulf Coast during this month - but I am certain a Galveston Island Summer is peaking around the corner with south east breezes, white sand beaches and clear skies. Fishing Charters Galveston Texas . Austin Web Design by AO Design.